One of many Christian saints reputedly martyred by the emperor Diocletian – Saint Lucy is the patron saint of the blind. Appropriately, as she either had her eyes gouged out by a Roman soldier or tore out her own eyes (no, really!) according to whichever source you read. 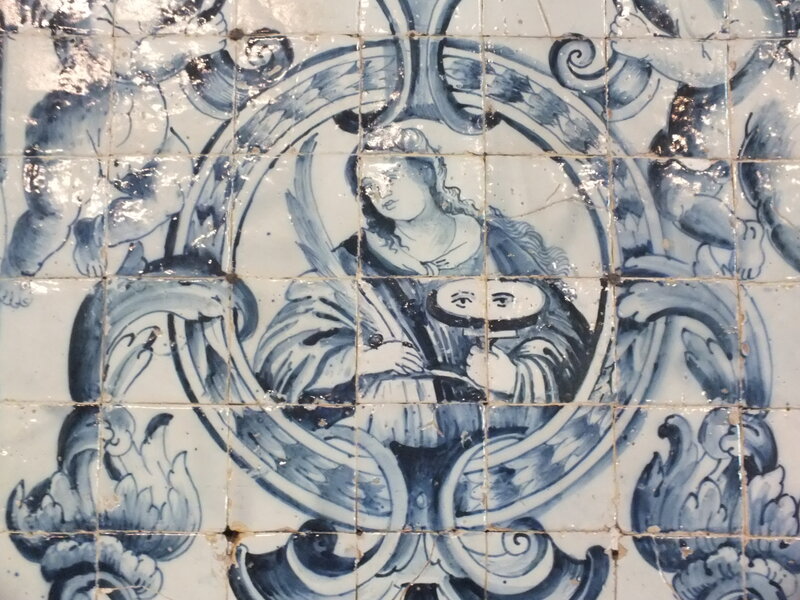 This is a depiction of her in ‘azulejos’ (Portuguese tiles) in a church in the town of Obidos.